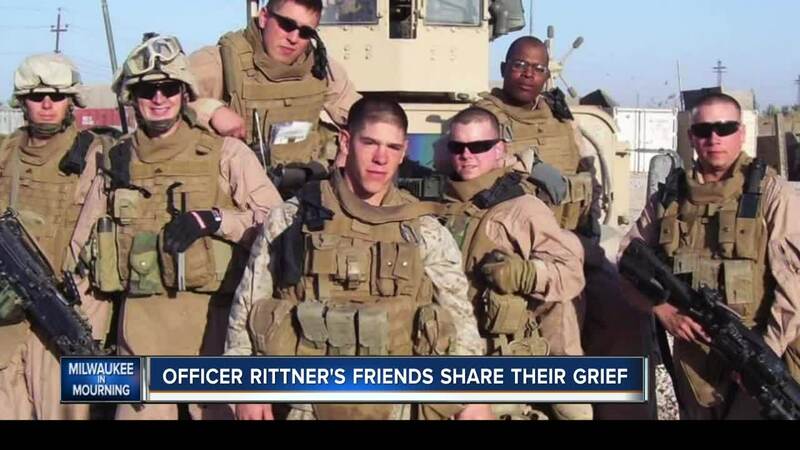 Max Zaruba and Ryan Lackey considered Officer Matthew Rittner one of their closest friends. They all served in Iraq together. Their lives changed forever Wednesday, after getting that horrible call from a first responder saying Rittner had been shot. In that intense moment of grief, they got to work. Lackey began notifying other Marines and friends. Zaruba headed straight to Froedtert. “I needed to be there to salute Matt on his way into the hearse,” he said. Zaruba rode with an officer in the procession to the Milwaukee County Medical Examiner’s Office. They say Rittner was proudest of his work as a husband and father. His friends now vowing to help raise his four-year-old son.